In this post weâ€™ll be outlining the steps require to convert yout files in case thereâ€™s still any doubt. 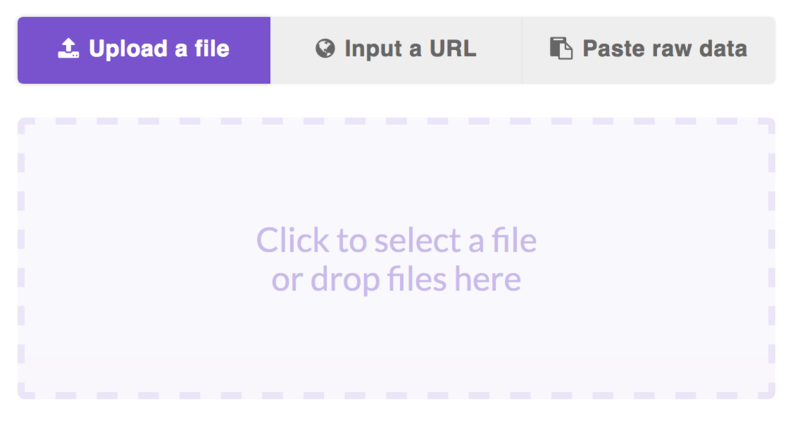 The first step is to upload the CSV data that you want to convert. If your file is hosted somewhere in teh internets, you can also provide a URL, obviously, it needs to be publicly accesible. This option also supports public Google Spreadhseets. The second step is to select the SQL output option and press the big green Convert button! Easy as pie. We will automatically detect that your file is CSV and wether the first line contains the headers or not. Wait for a few seconds for SQLify to process your data and youâ€™ll see this page, with your SQL script available for download. Note how we automatically detect the types and length of your data to make a schema. Now you can download this file and import it into any database, the output format is compatible with SQLite, PostgreSQL, MySQL and any other major standard SQL database. 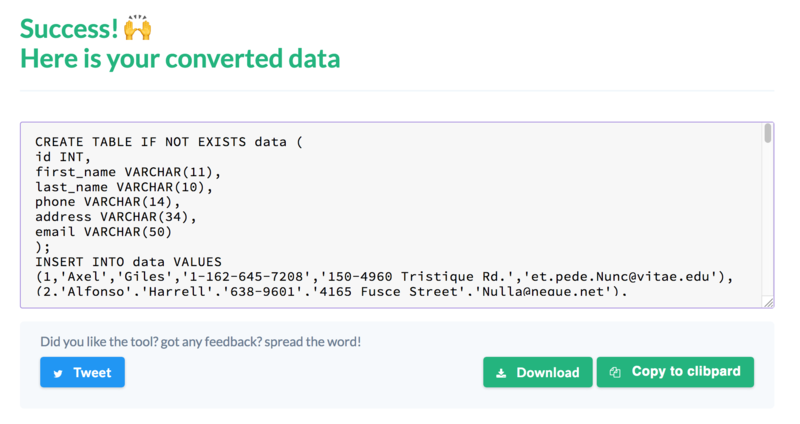 Go ahead and convert CSV to SQL! Got any feedback? Let us know in the comments!